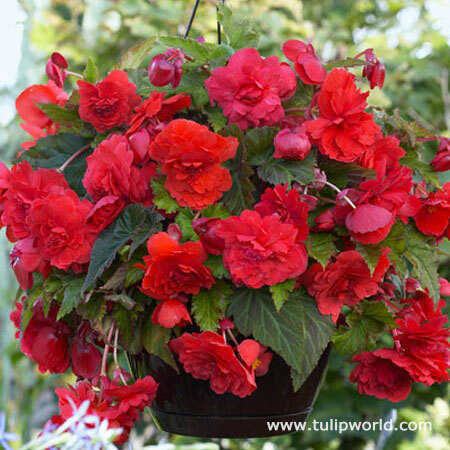 Fully double pendulous red blooms will cascade over your baskets and planters. Hanging basket begonias are a large double flowered variety. Their exceptional branching habit requires fewer bulbs to fill a container with truly classic beauty.